I decided to write this article after reviewing an old set of slides of a presentation I gave to the English FA few years ago entitled: “Preparing for performance: League vs. tournament”. I have been reading/listening to few individuals talking and writing books about training in team sports and I would like to add my views on this issue. There are many strength and conditioning coaches and/or fitness specialists working with team sports in Europe (in particular Football [or soccer as our American colleagues like to define this sport]) who claim some miraculous training paradigms and/or describe amazing effects of their training regimes. It is absolutely a great sales pitch, however the reality most of the times is not as depicted. Just looking very simply at the competition schedule of an elite European Football Club we can understand that these athletes have very little time to train, hence, very little possibilities to get faster and stronger. Many people still like to read Eastern European literature on periodization and/or American books on this topic. All of the above publications describe a pedagogical process build on observations conducted on athletes competing in individual sports and mostly in endurance-type of sports where understanding training loading and tapering is of absolute importance. We could argue on the scientific merit of such observations and on the fact that maybe most of the athletes under observations were using all sorts of illegal “help”, but this is not the aim of this article so, will not discuss it here. 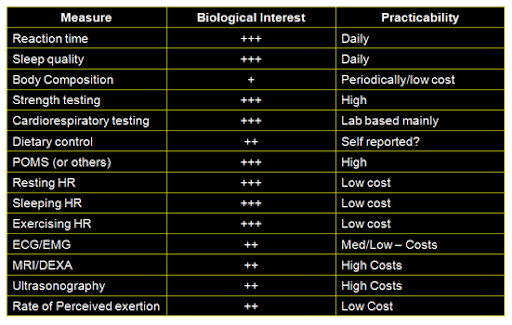 What we can argue is that all of the above publications tend to divide the planning of training in relatively long phases (Anatomical adaptation phase [few weeks], Pre competition/hypertrophy phase [few more weeks} and the list goes on). In reality, if we look at the official schedules of elite football teams in Europe, we realise that such process cannot be really applied to footballers. 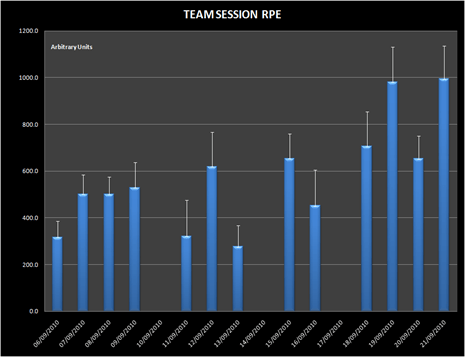 Professional teams in fact tend to start training few weeks after ending the previous season, and start competing very early with limited amounts of time to actually train the players hard enough to produce meaningful adaptations. I am not saying that footballers don’t work hard and/or don’t improve. 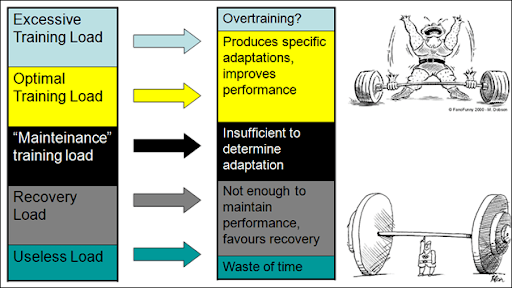 What I am trying to say is that the workload is not big enough to produce massive changes in performance be it endurance capacity and/or strength and power abilities. But, let’s look at some real information and add some material for discussion. So, if we look at this schedule, take into consideration travelling times and recover from travel and competitions, from the 17th of July to the 25th of August 2006, possibly the footballers of FC Barcelona performed approximately 20 training sessions. If they were to lift weights to get stronger/more powerful/faster, and had a frequency of 3 sessions per week with some recovery in between (at least 1 day) as it normally occurs, they would have performed somewhere around 6 strength training sessions. 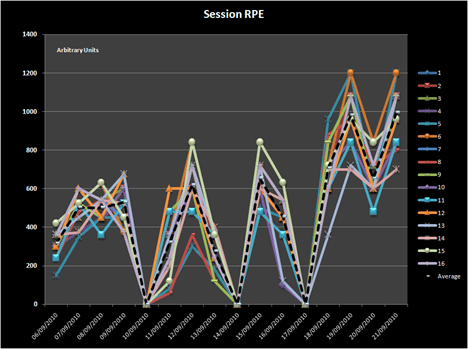 Now, if the first session is used for testing and establishing 1RM and some progression of load occurs, probably…they are lucky if they could perform 4 serious strength sessions. 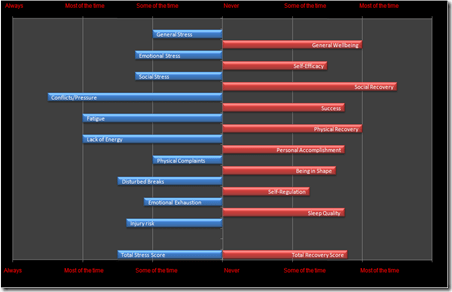 So, where does periodization fits here? There is no time for Anatomical Adaptations (as defined by some periodization gurus) and no time for hypertrophy…How much can athletes gain from such an hectic schedule of training, competing and travelling before the season actually start? (even if arguably Spanish Supercup is the first trophy to win). This is not an isolated example, the readers just need to browse websites of big clubs to see their schedule and do the math. Let’s look at national teams now…again from the website (official information). 20 days: ~38 sessions: 9 strength sessions? Preparing the World Cup with players coming from a long season in 20 days…how much training can you actually do and how much improvements can you see? Should the focus be on maintaining performance and be able to repeat it over the competition (World Cup in this case)? What I am trying to demonstrate here is that there are far too many individuals lecturing around the World and working with football teams that talk a lot about periodization, but actually they have no data and/or meaningful information to share to support what they are saying. Most of all, due to the duration of the preparation phase and the intensity and characteristics of training regimes they impose, it is virtually impossible (in my view) for them to make massive improvements in any area of performance. Unless of course footballers are so de-conditioned that they can improve easily (which is also something I am lead to believe sometimes). I would also like to point out that I am generalising here, of course there are some great sports scientists out there working with professional teams that do a great job, but there are far too many selling hot air. 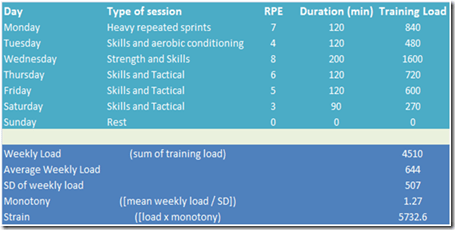 – How many training sessions can I perform with the players? – What should be the focus? In few words, what can I achieve with the amount of time and sessions I have available? Let’s look at the typical weekly distribution of workloads of two professional team sport teams I worked with in the past. I indicate as S&C sessions only sessions in which the workload is purely aimed at improving performance capacity with limited technical and tactical aspects. Everything indicated with “practice” has a strong technical and tactical requirement. Each training session lasted 2hours. The above example is typical of weeks in the competitive season. As you can see, 16% and 22% of total training time was devoted to improving physiological aspects of performance, with most of the time spent performing technical and tactical drills. What does this mean? If a team looks “not in shape”,as some journalists like to point out sometimes, it is either because they are tired (density of competitions and travels) or because the intensity of the technical and tactical practice is not high enough to represent a training stimulus. So, while most of the time the Strength and Conditioning Coach is seen as the culprit, the coaching staff is most probably to blame as they handle and plan more than 80% of the training process. So, the role of a sport scientist working with such teams should be to guide and advice the coaching staff on how to make sure the training load is always appropriate in each technical and tactical session. 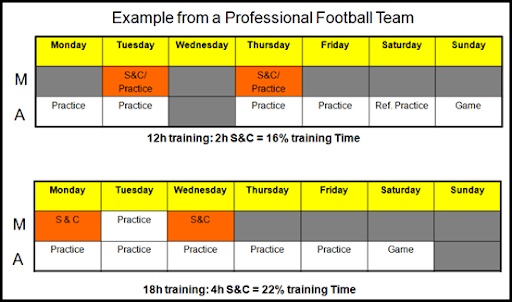 What can we conclude by looking at typical weekly practices and plans of elite football teams? 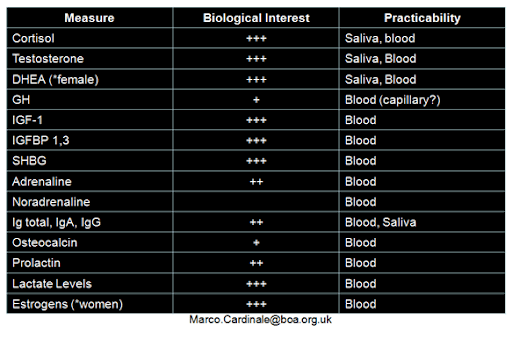 Let’s not kid ourselves…it is impossible to improve aerobic capacity with 1h of “fitness specific” training per week! It is at this point clear that monitoring training sessions is a necessary step to understand how effective the training process is and how the players are adapting/responding to the various stimuli. 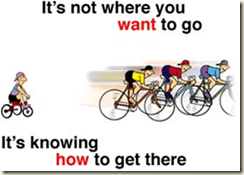 What do we need to look for then when we want to implement some assessment strategies ? 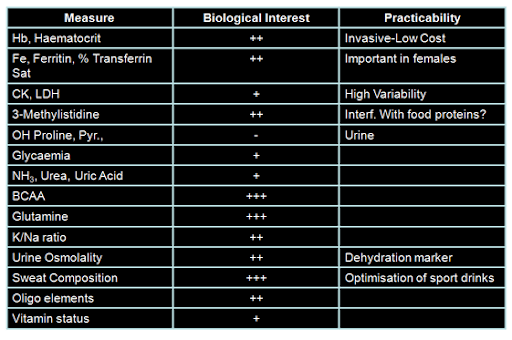 Why do we need to monitor training in particular? To make sure the loading is appropriate for what we are trying to accomplish. What sort of testing and/or markers could be of use?